This year has been great for crossing off my bucketlist destinations. First I finally visited the Philippines back in December and now I received a call from Visit Norway for a once in a lifetime trip to North West Norway. I was going to see the famous Fjords and amazing nature I had been waiting a long time to see. Norway is a country filled with mountains, glaciers and deep coastal fjords that have their villages and cities hidden in between. If you’ve never been to Norway I can imagine that it can be quite difficult to decide where you want to go. 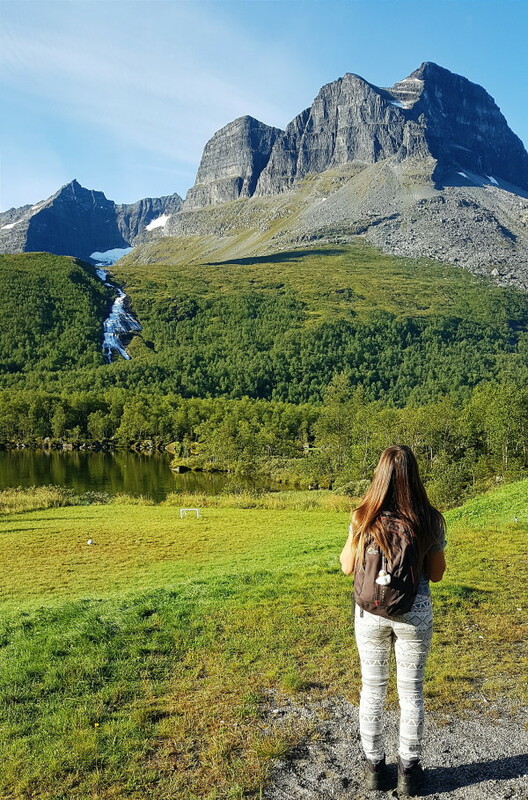 In this blogpost I will take you to the North Western part of Norway and let me tell you, it’s stunning! 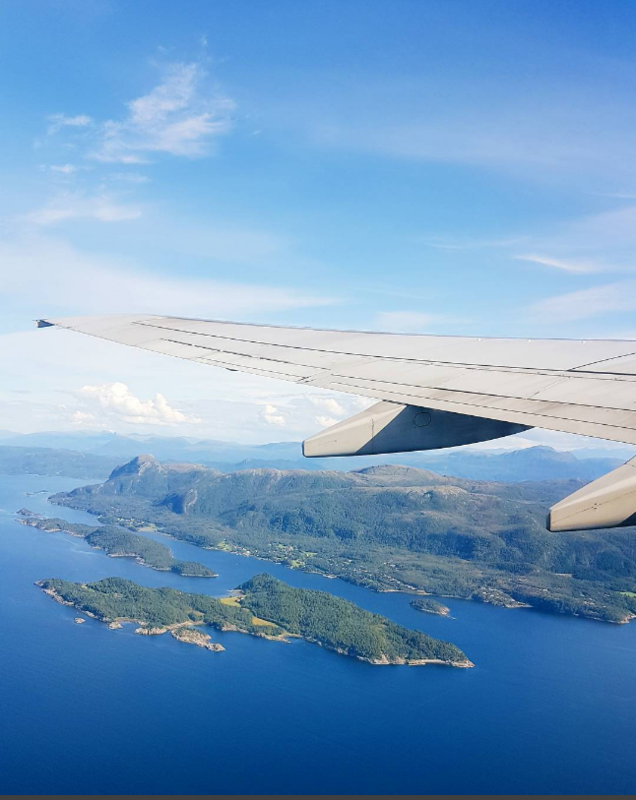 When you fly into Ålesund you will see the dark Atlantic Ocean and the impressive mountains as you land. 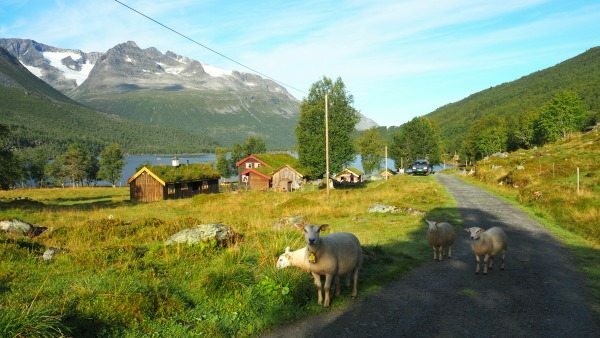 The airport is situated right on the edge of the island and in 1,5 hours you can drive down to the fjords. Ålesund is a beautiful fishers town that was totally destroyed back in 1904 because of a fire. After that they rebuild it, using architecture that would set every house apart from each other. 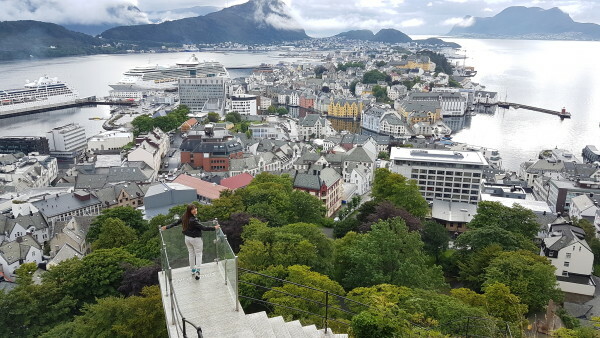 It’s often referred to as a town from a fairy tale and you will really see this when you are on top of Mount Aksla (you walk up 418 steps) where you have a wonderful view over Ålesund and it’s harbour. Have a coffee or tea in the restaurant on top of the hill and enjoy the view! 418 steps up and you will be rewarded with this stunning view! The view from the bus.. I stayed in the Stranda Hotel which may look a bit like a concrete building from the outside but is cozy on the inside. The hotel manager has been working here for over 15 years and is a really down to earth and charming lady who has a great sense of humor. Norwegians kind of remind me of the Dutch. They are open minded people and are not afraid to speak their mind. Very Dutch indeed and I like it! If you’re there, be sure to visit the activity center to rent kayaks, ski’s, mountain bikes and book outdoor tours. The office is not always open because of guided tours but you can always call them for reservations. 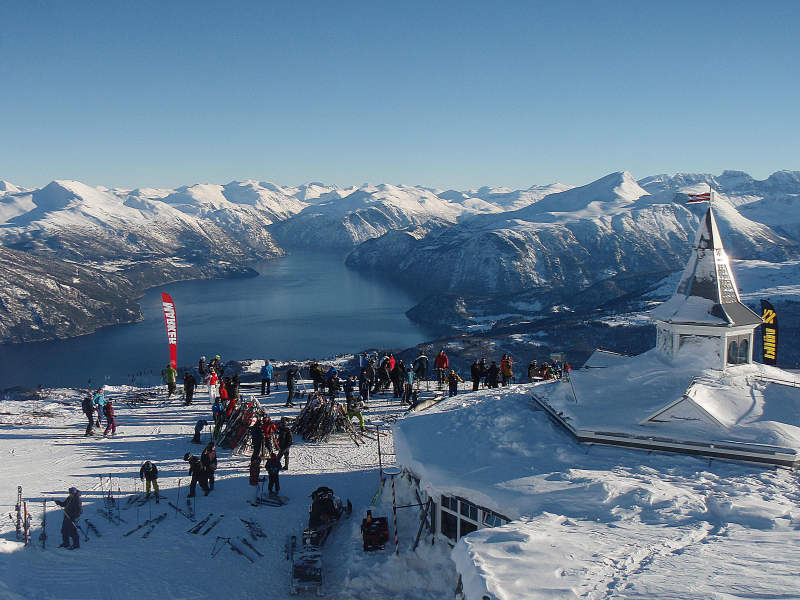 Once a year they host a mountain race called the Stranda Fjord Race. The race attracts people from all over the world but only few manage to finish it. It’s one of the hardest running races ever because it’s very steep and runs over the mountain. (This one is for the tough cookies) It takes around 6 hours to finish but the fastest man this year did it in just 4 hours! The view I had was eh..a bit different! From Stranda on to the next! The tour bus took us to Valldal, a small town in between a valley where they harvest strawberries, raspberries, plums and other fruits. It’s their main source of income as it stays warm between the mountains, making it the perfect climate to grow these kinds of fruit. I tasted some and let me tell you, it’s a lot better than you will ever find in your local supermarket! Yummie. I stayed in a newly opened hotel focused on health tourism called the Fjordhotel. 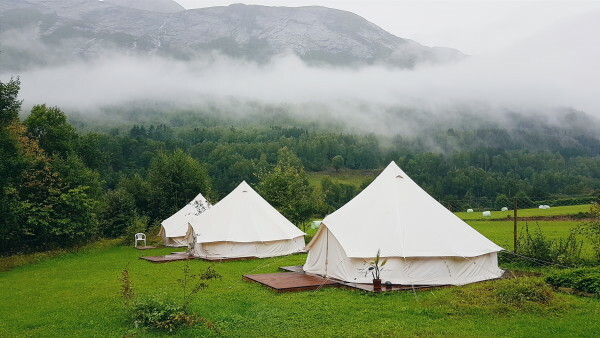 They have comfortable rooms with stunning views over the Fjord and mountains. Dinner and breakfast are great and healthy. From here you can book several outdoor activities and one of the most fun things to do is kayaking. Mind you, this is different from a canoe and takes a bit more balance. 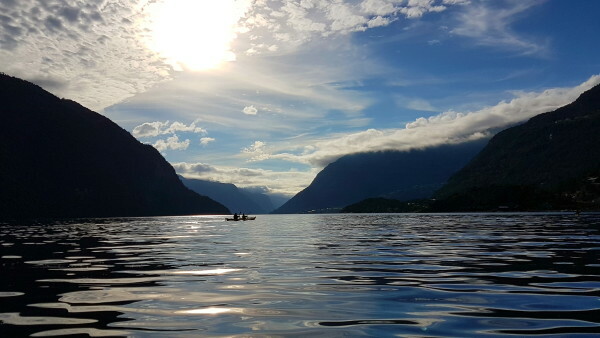 You can book a guided kayak tour with Valldal Naturopplevingar. They will take you across to a fjord called Tafjord which is on the Unesco world heritage list but hardly anybody knows about it. 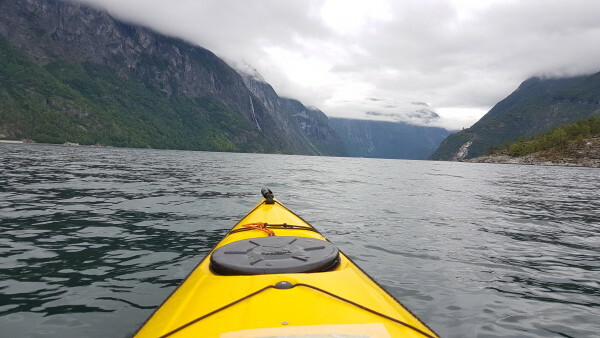 Meaning, you might have the whole fjord to yourself! Talking about a true hidden gem. Other fun things to do is to spend a day in the Activity Park just 15 minutes away. Here you can climb and enjoy thrilling zip-lines across trees and a rivers. 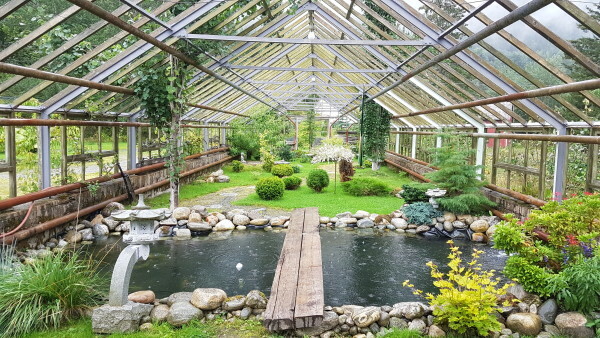 If you’re more the relaxing type you can stop at Meretes Garden where you can follow a yoga or mindfulness lesson. 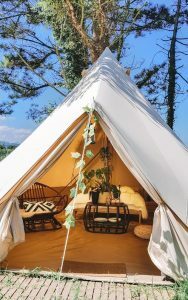 I had a look and although it rained, I managed to shoot a picture of her Japanese inspired garden and tipi tents where you can stay for around 40 euro’s per person. 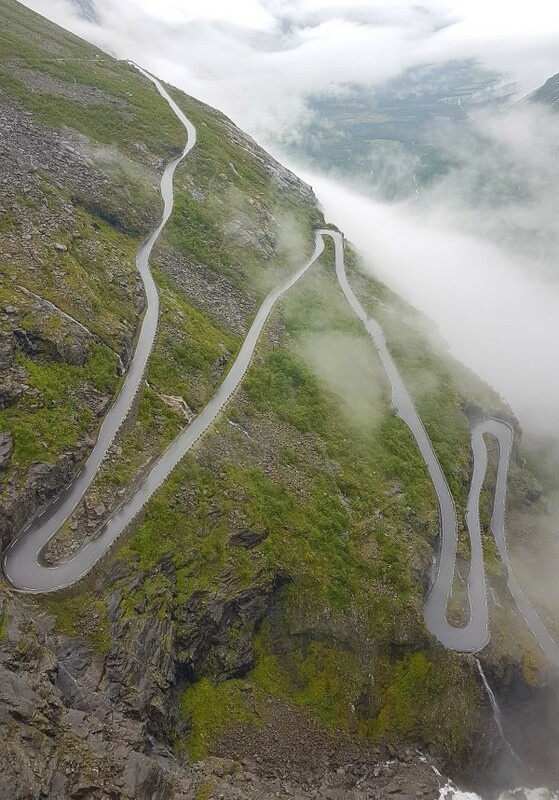 Now it was time to head down to North West Norway’s most famous road, the Trollstigen Road. 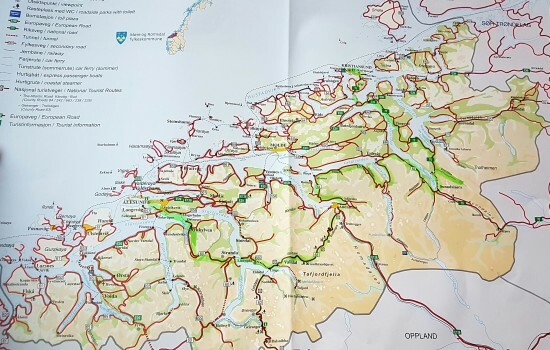 To get there you must head east along the Fjords. If you take this route, you will come across the most amazing viewpoints that are worth stopping for. Waterfalls, rivers, green hills and mountain tunnels are all part of this region. 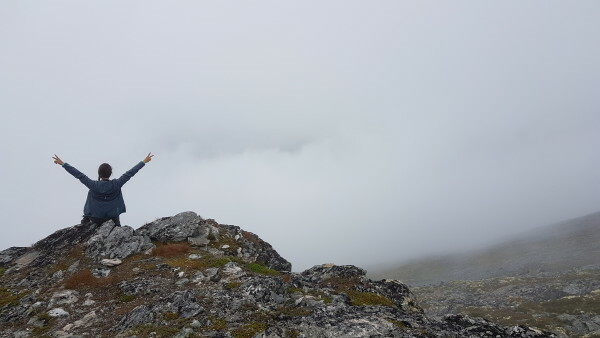 If you want to see the view over the Trollstigen Road, you should definitely stop at the Trollstigen Cafe which is a modern building run by a man named Edmond and owns a large part of the land here. It was so rainy on the day I was there that I only managed to take a few pictures when the fog disappeared for a few seconds. Mind you, I was still so impressed by the view over bridge which is build right over the road and waterfalls. After a tasty lunch we made our way down over the zigzag road which takes some good driving skills. You will make Mr. Edmond very happy if you stop by his large giftshop which you can recognize by the large Troll standing in front of it. 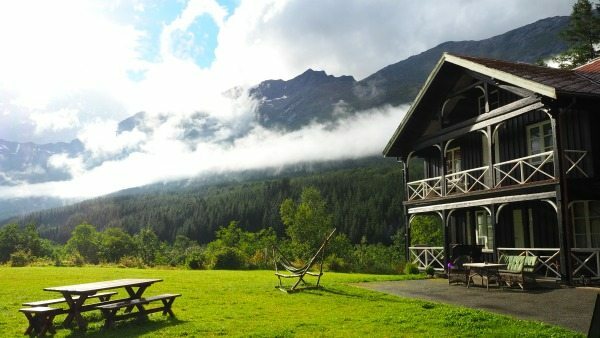 After driving over the famous Trollstigen road, We briefly stopped at the Phillipshaugen Lodge, run by a young couple. The sun finally showed her face that day so if was the perfect timing for cake, coffee and a few photo’s. To book your stay, check here. You can sleep here and their best season is in winter for the famous ski tours through the mountains. 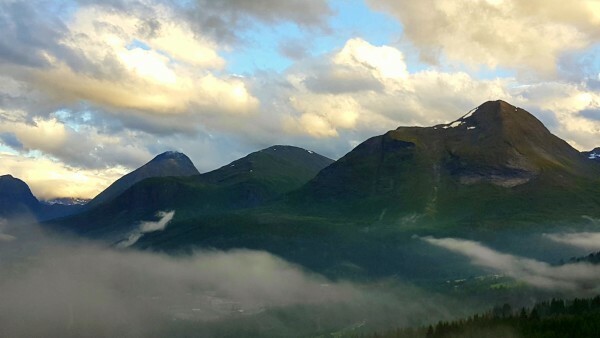 After a lot of traveling, I was going to stay in Innerdalen for 2 nights which I was looking forward to. My group and I were going to stay in the Innerdalen Turisthytte. A typical Norwegian lodge run by family business that has been in operation since 1889. The area is extremely popular with hikers who come here to climb the Innerdalstârnet mountain. The mountain is 1472 meters high and can be difficult to climb. We only managed to climb up half way because the stones were too slippery because of the rain that day. The lodge is only open from June until November and has around 27 beds. All rooms have bunk-beds so sharing is caring!Next door you will find a lodge named Renndolsetra. You can also sleep here or pop in for dinner. They have 25 beds available and are looking to extend the dinning area. 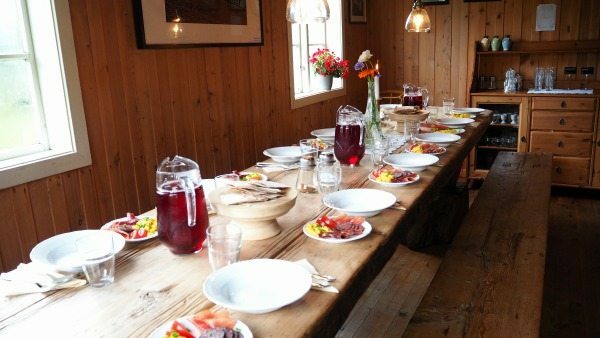 I had one of my weirdest but traditional Norwegian dishes here; Rømmegrøt. It’s a mixture of flour, milk and sour cream which they heat before serving. It kind of reminded me of bechamel sauce before you put in into a lasagna but I believe you should always try the local dish to a new destination. Our last stop in North West Norway was at a place called Kristiansund where we had lunch at fish restaurant Smia. The restaurant used to be a metal smith back in 1787. They kept the old historic features and added a touch of modern interior, making this place a popular place to eat next to the harbour. Everything is homemade and local. One of their specialties is klipfish which is a traditional Norwegian salty fish dish. With the delicious Norwegian flavors still in my mouth, it was time to head back to the airport and wave goodbye to this stunning country. Yes, Norway really deserved that spot on my bucketlist and I firmly believe you should add it too. also recommend for any of you inspired to visit Norway to make sure to head to both Preikestolen- the Pulpit Rock- heavenly view of earth and also Bergen, Norway- gorgeous town pictorial … I’d move to Norway but for the long dark winter!